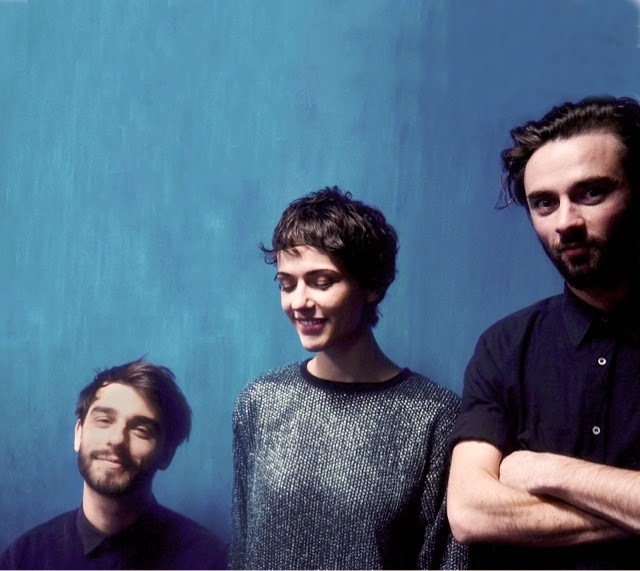 We Were Evergreen unveil ‘Best Thing’, their brand new single taken from their debut album, ‘Towards’. The sensational three-piece band have unveiled the incredible, humorous, and artistically creative visual for ‘Best Thing’, their brand new single. This visual, in the same vein as the band’s other creative ventures, promises to inspire and delight, with a decidedly modern-art-led, surrealist feel. Fabienne, William and Michael, We Were Evergreen, have been playing live for the past 5 years, supporting the likes of Little Dragon, Goldfrapp, London Grammar, and Metronomy, to name but a few. In 2013, they signed to Because Music in France, which was closely followed by a record deal in 2014 for the rest of the world, with Island Records. Excelling themselves on the live scene, the trio released their debut self-titled EP in 2008, and have been involved in a whirlwind of fantastical musical adventures, ever since. In 2014, they released their debut album ‘Towards’, of which we have already received the phenomenal singles ‘Daughters’ and ‘False Start’. More than just music, We Were Evergreen collide the worlds of literature, art, textile and sound, creating something that is exclusively theirs. A plethora of influences and instruments comprise the band’s unique sound. With Radio support coming in thick and fast from the likes of BBC Radio 6, BBC Radio One, and XFM, We Were Evergreen re-engaged with the live scene in a big way, selling out venues including Village Underground, Scala, Bush Hall, and The Jazz Café. With festival performances under their belt from Lovebox, The Great Escape, Green Man, Wilderness, and SXSW, the band promise much of the same in 2014, with confirmed slots at Glastonbury, and many more of the same. Creating electro-anglo-pop; French harmonies, sung in English, there is no doubt that We Were Evergreen are one of a kind. Watching them live is a sensational experience, with the sheer number of instruments that will blow your mind. Listening at home is an equal pleasure, with the band’s upbeat sound bringing happiness and creativity to any mind who hears them.